Home Tags Posts tagged with "hyena salvation"
the hyena looked up at him from the small, bare condominium yard. it always sat next to the rusted bar-b-cue grill, his little altar perhaps. the hyena was ugly, not beautiful in the least but he loved it just the same. 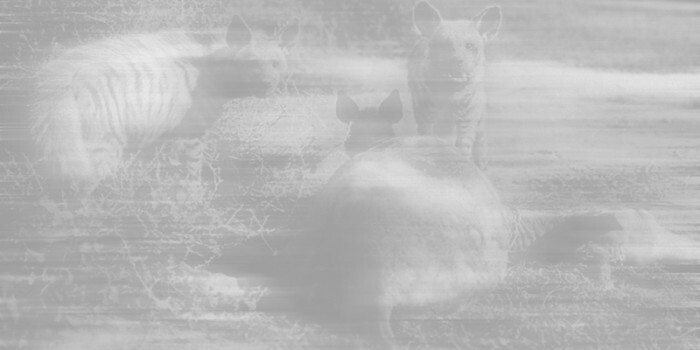 he was dying and as he was dying he was coming to believe the hyena understood death, his death in particular. this was mysterious. he had stolen the hyena from the zoo where he had once worked, when it was very small, when it was cute. they figured an owl probably got it, which is what he had suggested. then he retired from the zoo. he thought it a good idea to have the hyena as a reminder of his good times at the zoo, which he had enjoyed very much. they used to play cards amongst the elephants, him and the guys he worked with, and dash through the lion pit on a dare. what fun it was. the camaraderie of it all. and he had a girlfriend at the hotdog stand. the time of his life. he had come to like africa very much while he was there, at the zoo, because of the animals that had come from there, from africa. feeding them and cleaning them so well like he did. he would imagine the great beauty of africa while he did so. zebras, ostriches, gorillas. he thought of africa as a sort of place where life poured itself out. and now he had let to go of the things he had done in his life, work play love, as he was facing his death, as it was coming his way. work play love, those things were working themselves out ok, but his thieving, not so much so. the many things he had stolen, from the many people he had stolen them from. precious things. thieving had been so very close to his heart, he had come to cherish it. this was bothering him now because death was showing itself as a thief, they had come to know each other it could be said. but he did not want death to have a hold on him, he wanted to go right on through to heaven. that would be best. he would take the hyena to africa he decided, where there would be a life for it to live with other hyenas and where it could eat animals and fight lions like a hyena should. and when he set the hyena free he would let go of his death, into the heart of africa, freeing himself up for more life to come. he went down to face his hyena with a steak and he bar-b-cued the steak. they ate it together. and then he held the hyena gently and spoke softly to it, speaking to it of the savannahs and jungles and deserts they would see in africa. the innocence that carries us away. 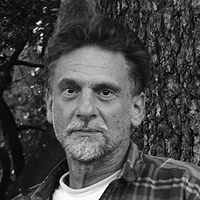 Robert Paul Cesaretti has published in Plain Brown Wrapper, The Atherton Review, Gambling the Aisle, SN Review, Dark Matter Magazine, Mad Hatters‘ Review, Commonline Journal, Avatar Review, The Zodiac Review. He is the founding editor of Ginosko Literary Journal, http://GinoskoLiteraryJournal.com and a native of the San Francisco Bay Area.